The goal isn't to build a website. The goal is to build your business. You already know about the increased buying power of the U.S. dollar in Canada. That's why you decided to look for a Canadian web developer. But you are not only looking for a great price on web development services in Canada. Most of the web developers in Canada will claim to offer one or more of those outcomes. Many will make claims that they are "the best web developers in Canada". Others boldly claim they are the "Canadian web development firm with the best web designers". Still others claim to be online marketing experts or the top web design agency in Canada. Then there is Selaris Web Media. We're not only focused on building or designing websites. We are focused on building businesses. Better still, we know what it takes to build a business on the web. Eye-catching design works wonders, but only when it is combined with original copy writing that engages the customer and attracts the search engines all at the same time. Most web design companies in Canada don't even mention copy writing. True. You can find professional web design, website copy writing and search engine optimization in Canada, but only Selaris gives you all three in affordable packages to fit any budget or need. Why settle for less? Get started today by contact us by phone (1-780-484-9944) or online today. How much will I save working with a Web Designer in Canada? Drag the slider to the left and right to determine your immediate savings in hiring a website development company in Canada. The calculation is based on $1 CAD = $0.79 USD*. 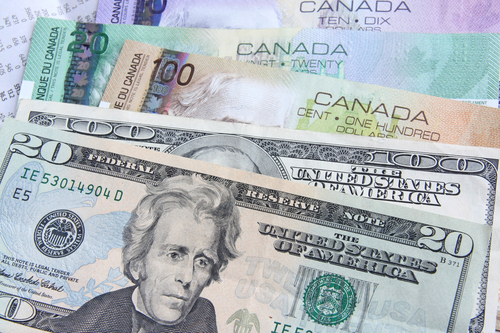 Take advantage of the favorable exchange rate between the U.S. and Canadian dollar! Contact Us today for more information on how to acquire a high-end, lead generating website for your U.S. business.